George Bernard Shaw always believed, “There is no sincerer love than the love of food.” World cuisine offers us a wide variety of food, be it restaurant quality dishes or the down-to-earth street food. For us foodies, every cuisine presents to us a chance for appreciative degustation. 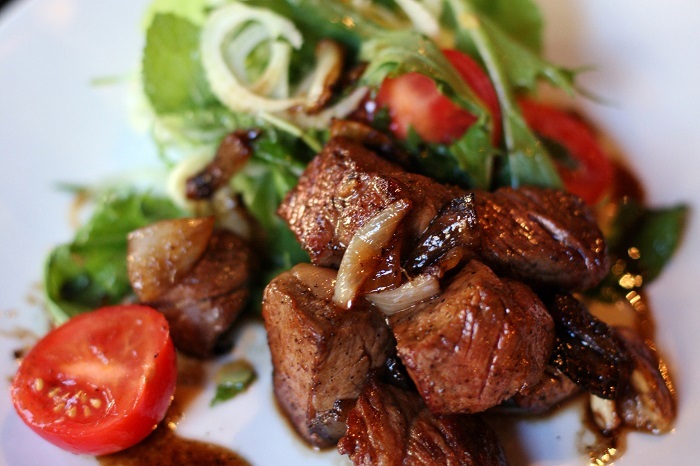 Vietnamese fare, like others, is popular and doesn’t stay behind in culinary arts. The reason Saigon food is special is because it incorporates all the elementary tastes, to provide us with a wholesome meal. 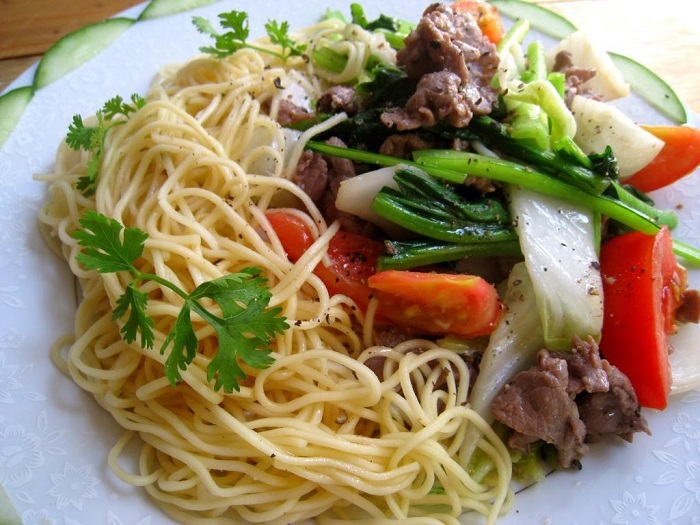 Any Vietnamese dish is choc-a-bloc with pork, beef, shrimps, vegetables, rice, noodles, herbs, spices, fish sauce and other fundamental condiments. 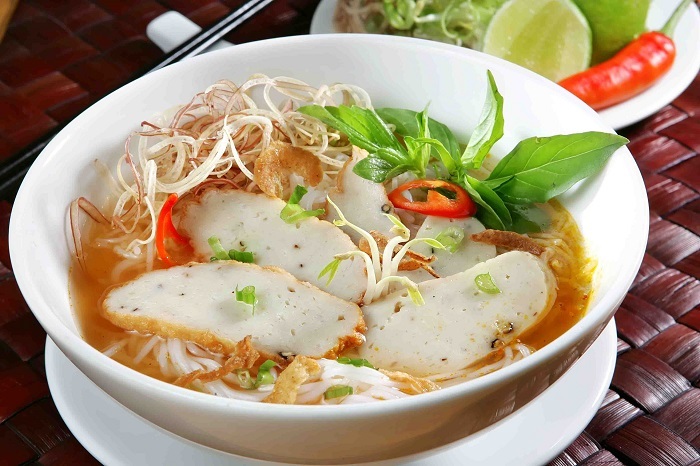 For their utilization of the freshest of produce available in the market, and their token use of oil and milk products, the Vietnamese cuisine is considered to be one of the most nutritious in the world. 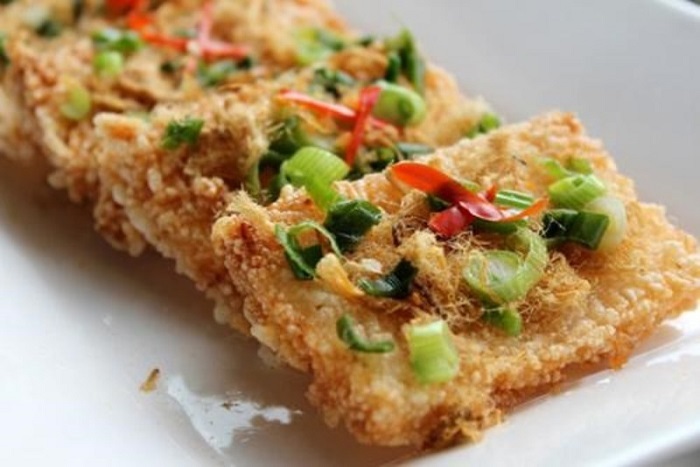 If you’re planning a trip to the ‘Land of the Dragon People’, here are thirty of the most famous dishes that you ought to try. These fried spring rolls are quite a popular option for street food. Usually, the Cha Goi has either a vegetarian filling, or is stuffed with a choice of beef, chicken or pork for meat lovers. 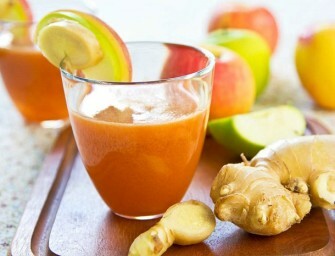 It is best relished along with a tangy and spicy sauce. 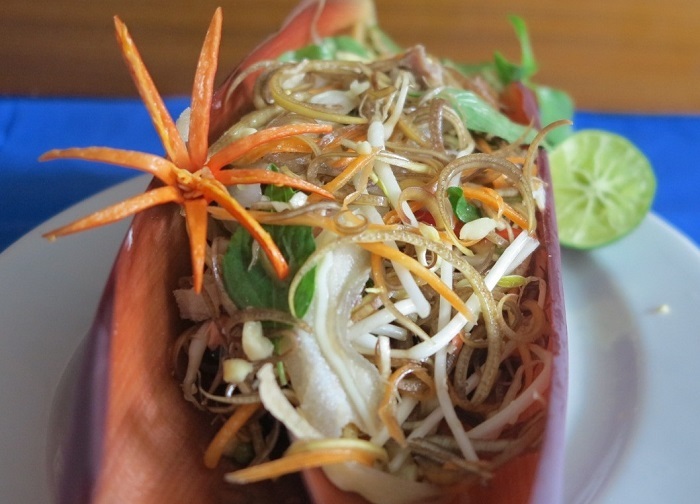 The Nom Hoa Chuoi is a salad prepared with veggies like carrots or raw papaya, combined with chicken, drizzled with fish sauce, garnished with roasted peanuts, and served on a banana flower plate. 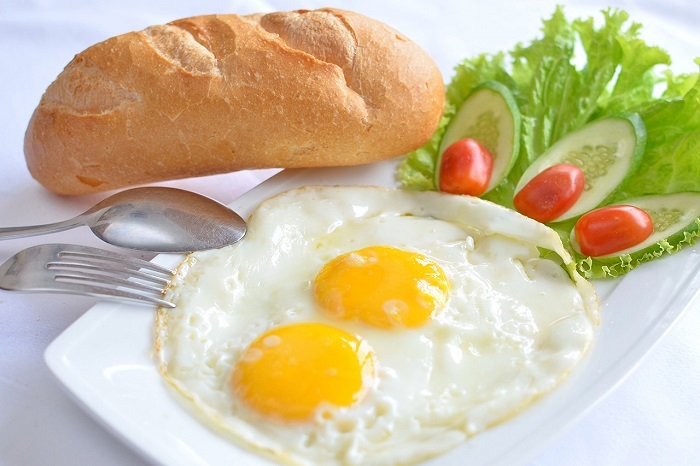 This is the Saigon take on the English breakfast, where eggs are cooked sunny-side-up, and served along with ham, a crunchy salad and baguettes. The reason why the eggs are not fried on both sides is because it is important that the yolk is runny when cut through the middle. Grilled chicken anyone? 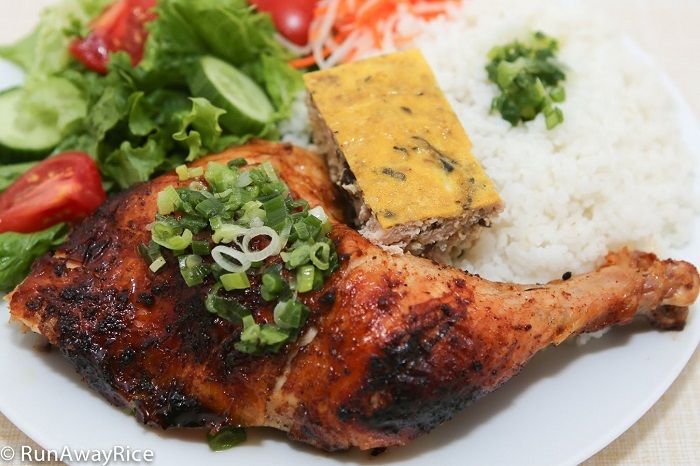 This is not just any other grilled chicken; it is barbecued Saigon style, with a lip-smacking marinade of honey, ensuring the meat isn’t charred and it remains tender. The best part about this is the crispy chicken skin. This is probably one of the most favorite Vietnamese delicacies ever. At every corner of the nation you are sure to find hungry men enjoying this noodle soup. 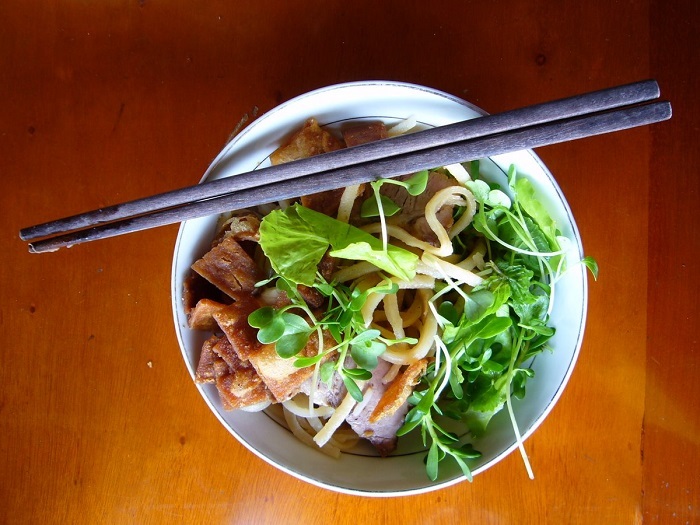 The Pho is an absolutely delectable combination of rice noodles and chunks of meat in herbed broth. 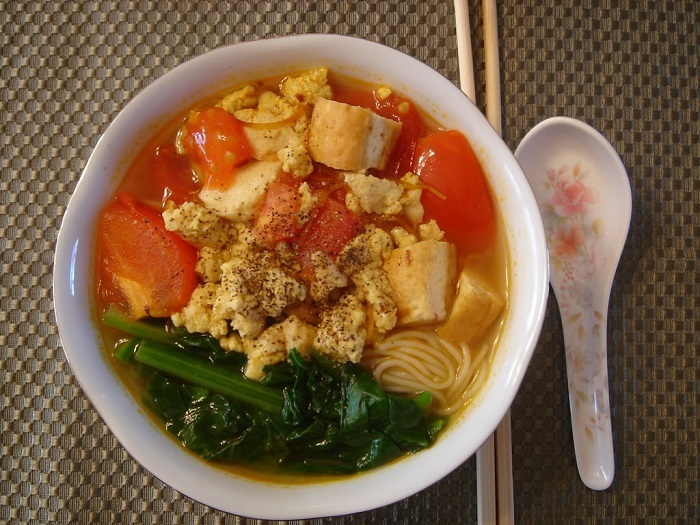 The Bun Bo Nam Bo too involves the oh-so-popular noodles, but this time without the soup. 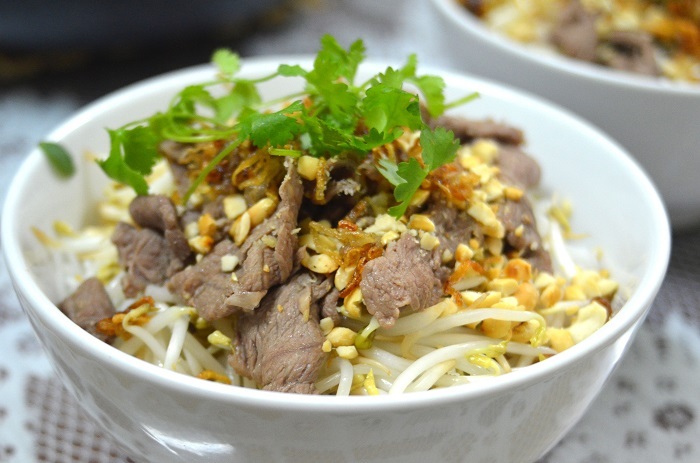 This best goes with thin beef slices, bean sprouts and peanuts, topped with a combination of fish sauce, herbs and fried onions. The humble eggplant is cooked in an earthen pot, with minced beef or pork, soy sauce and fresh tomatoes, to transcend into the heavenly Ca Tim Kho To. 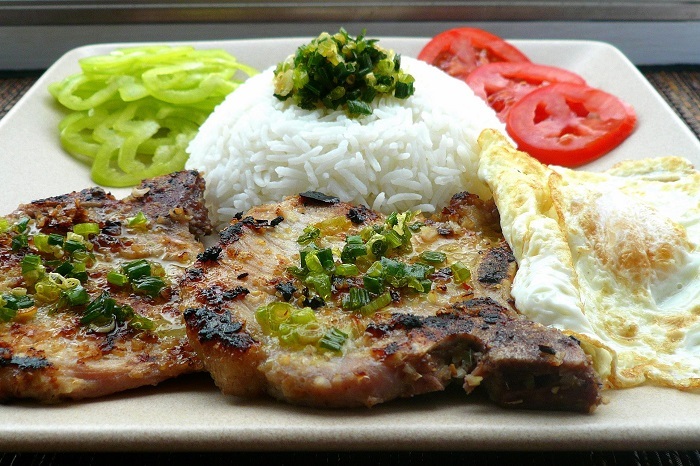 The Com Suon Nuong is a hot pick in Vietnam, with its grilled pork cutlet served on a bed of hot rice. The smoky flavor of the pork infuses with the fresh rice and transforms into a sumptuous meal. 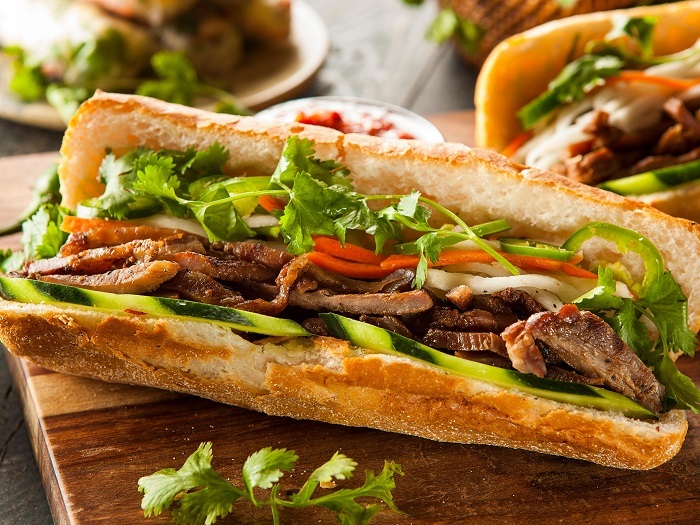 Move over Subway, the Vietnamese special, Banh Mi has arrived! The fluffy baguette is sliced into half and filled with ham, sausage and salami, fried eggs, and pickled vegetables. Topped with coriander and chilli sauce, it becomes the penultimate sandwich to sample in the country. 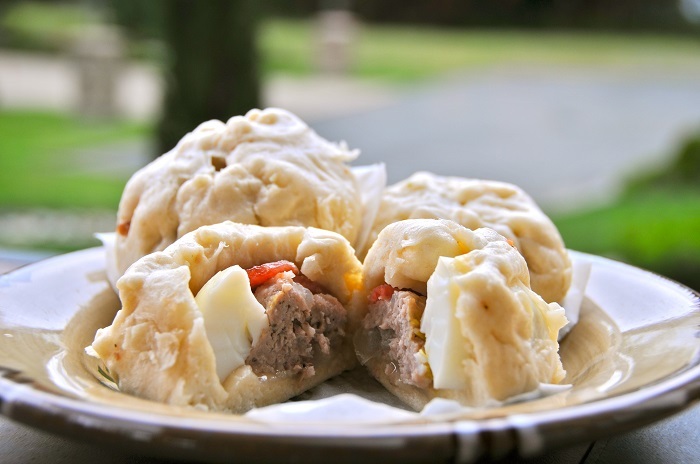 This is a cross between bun and dumplings, which have a filling of a quail egg that’s hard-boiled and encased in an envelope of minced pork meat. The Banh Bao is not only the epitome of street food; it is also served at high-end restaurants in Vietnam. Are the two-minute noodles your savior when you’re alone and hungry? Then My Xao Bo will definitely be one of those Saigon dishes that is going to sweep you off your feet. Taking just two minutes to rustle up, the noodles are mixed with garlic, onions, tomato and beef, and the dish tastes way better than your comfort food. These rice crispies are not just a child’s dream food, but also a hit with adults. The usual rice crispies are sweet, but the Vietnamese variant uses meat or snails, and literally melts in your mouth. In case you’re a vegetarian and you still want a bite of the Com Chay, there are joints that will whip up fake meat for you. The Vietnamese swear by the soup, and the Canh Bun is a special treat. 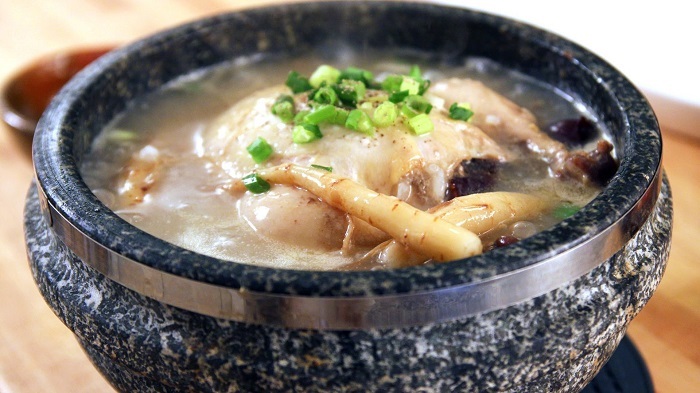 This noodle soup stands out because of the variation of its base as well as the morning glory and crab it uses. The bisque is infused with all the flavours of sea food, and makes for a hearty meal. This is one of the top picks for those who want to enjoy their night going pub hopping. 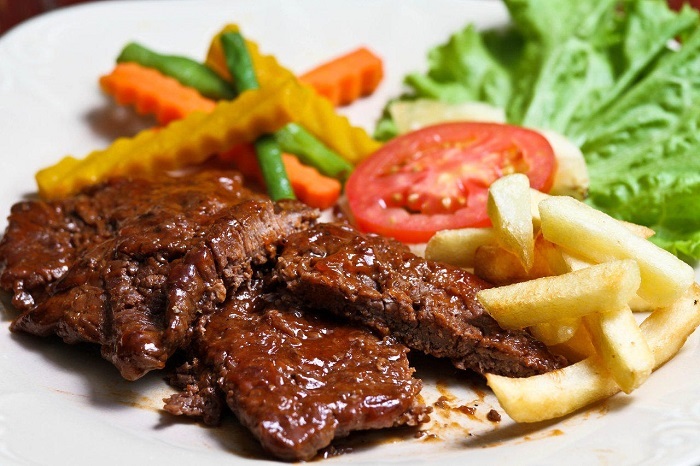 A pork or beef steak is served as a sizzler, along with fried potato wedges, meat balls and eggs. 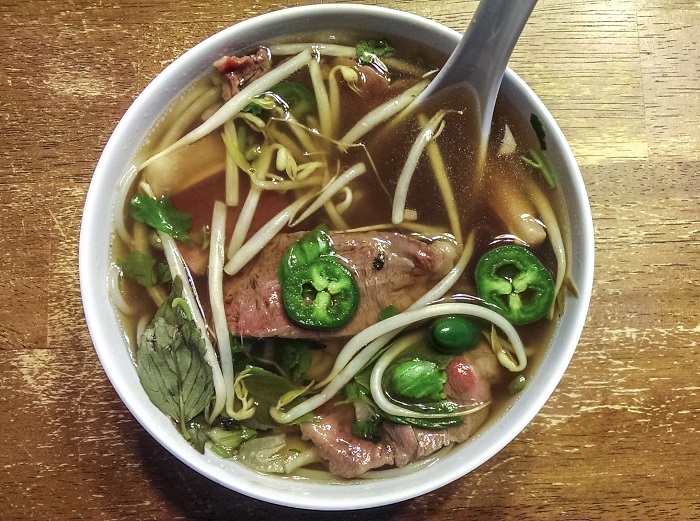 Though nothing can ever beat the Pho, its cousin, the Bun Cha will very well put up a good fight. This soup is chock-full of rice noodles, herbs, and pork patties along with pork belly that are barbecued to perfection. 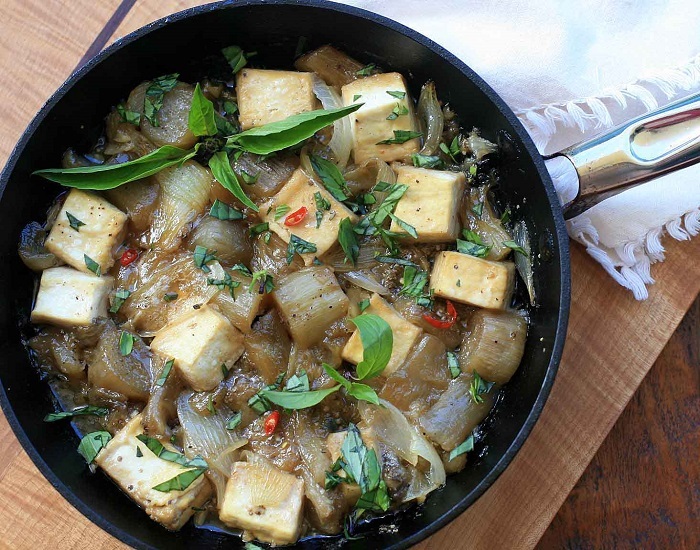 Nothing extravagant in this must-try dish—no meat, no rice, no noodles, no vegetables, and of course, no spice. 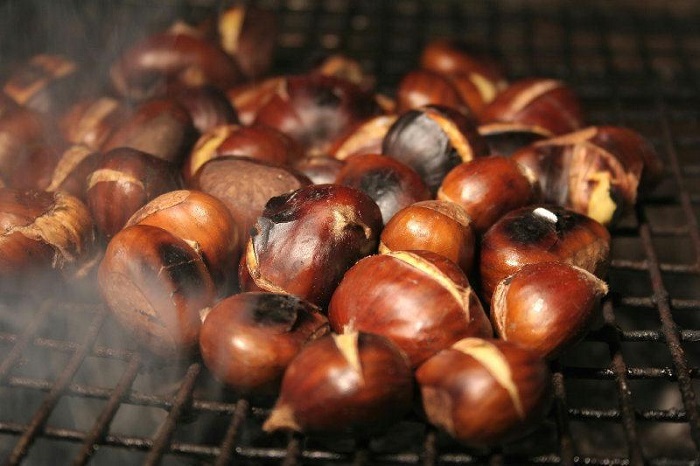 Yet, these roasted chestnuts, known as Hat De Nuong, are sure to entice you to any street stall. 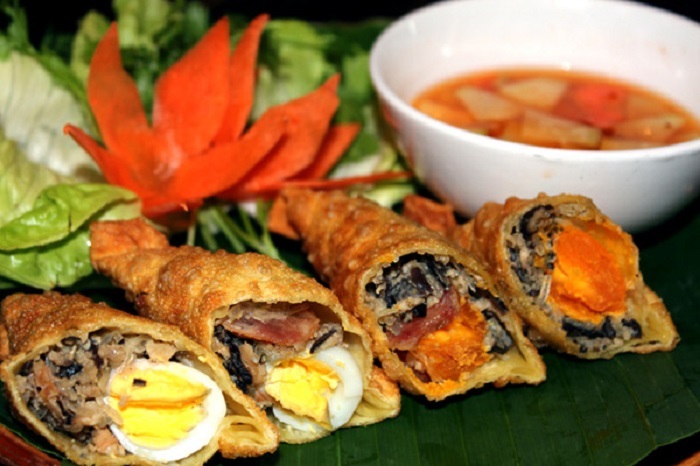 Another version of a spring roll, these deep-fried envelopes are filled with mushrooms, noodles and minced pork meat. Statutory warning: You can’t resist the temptation to take a second helping. 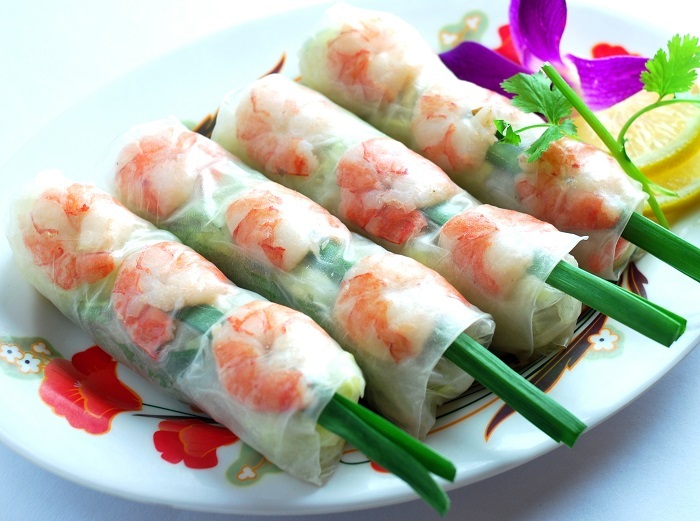 No, these are not transparent spring rolls, like the Pho Cuon. 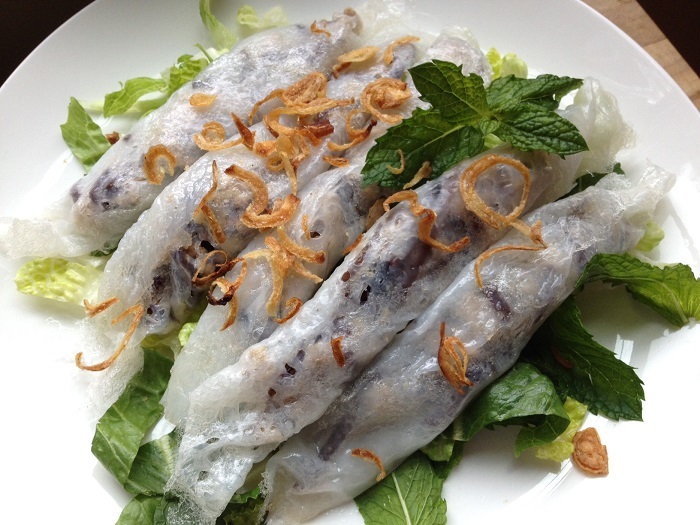 Instead the Banh Cuon refers to pancakes made from a batter of rice flour. 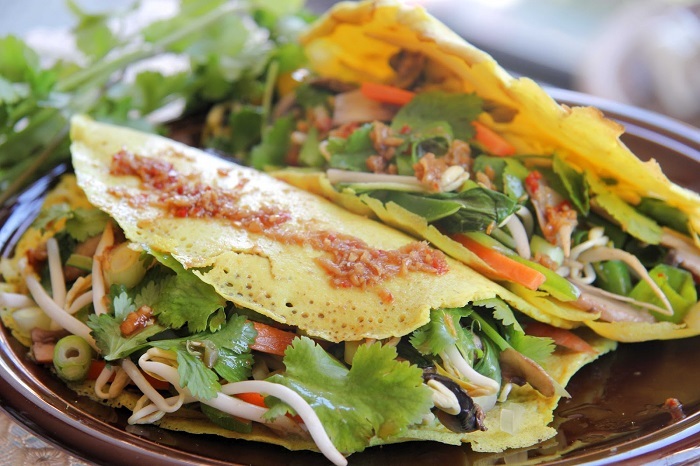 These pancakes are stuffed with mushrooms and minced pork, after which they are rolled up. Before serving, they are dipped in fish sauce, and served on a bed of herbs. If My Xao Bo blew your mind, the Pho Xao is a hundred times tastier. This is because the noodles are flatter and smoother, and the combination of soy sauce and a fried egg is tantalizing. The Vietnamese take on beef chilli, Bo Luc Lac is a flavorsome meal prepared from beef chunks that are stir fried with an assortment of vegetables, pepper and garlic. It’s also called ‘Shaking Beef’, because of the way it’s tossed in a wok. What’s the recipe for curing a bad cold on a chilly wintry day? Hot chicken soup, right? The Ga Tan is exactly that, except that what makes it unique is the use of green leafy vegetables that lends the broth its greenish hue. 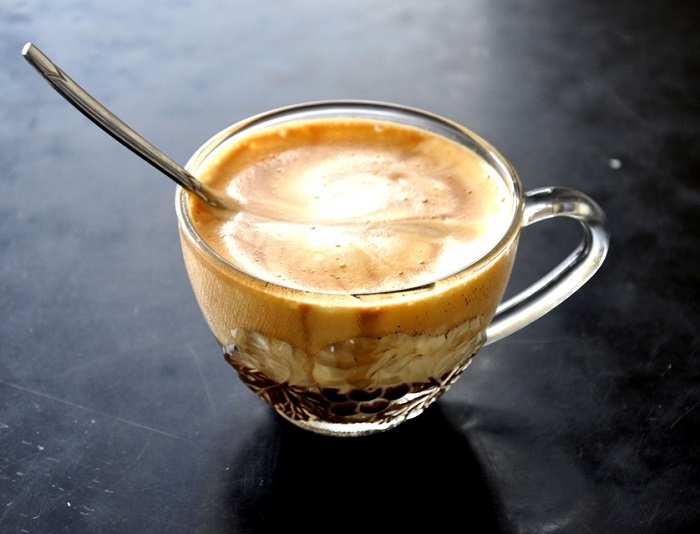 The Ca Phe Trung has the ability to give Starbucks a run for their money. 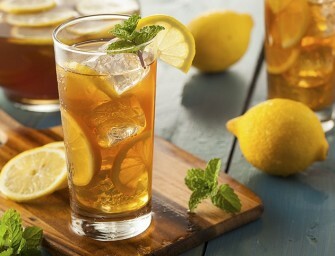 Have it a million times, but you still won’t know whether to call it a dessert or a beverage. The “egg coffee” has a mixed texture of a drink and a meringue, and will obviously tickle your taste buds, and your sweet tooth. 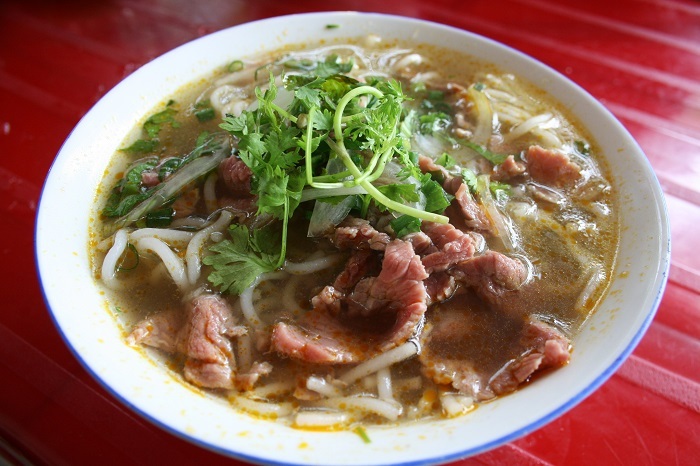 People residing in Central Vietnam are ardent meat lovers and their idea of extending a warm welcome to visitors is to serve noodles that have oodles of meat. 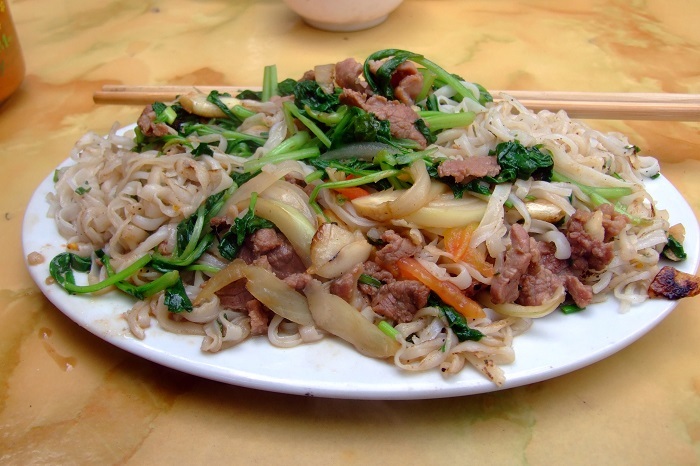 Mushy noodles are combined with cooked pieces of pork as well as beef, and make for a wholesome lunch. Meat overload, anyone? 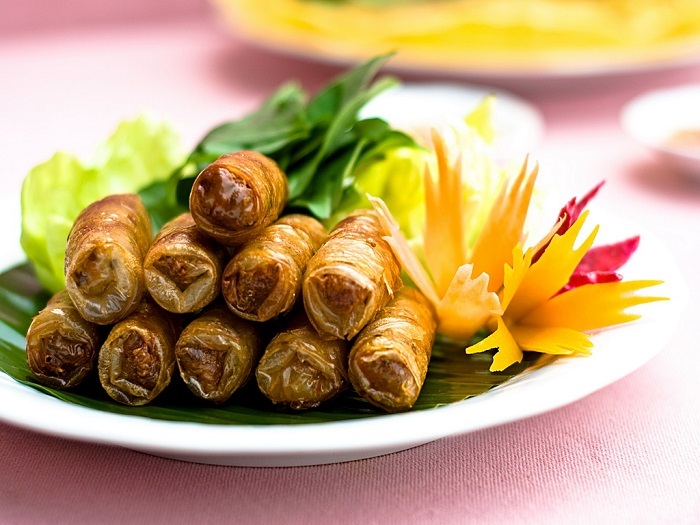 When you’re tired of the fried stuff, just opt for fish sauce flavored fresh spring rolls wrapped around green leaves, meat or shrimps, and cilantro. The Gui Cuon is definitely a welcome change from the spicy street food available in abundance. As they say, “Looks are often deceptive”, the Rau Muong might not look that sophisticated, but it definitely is nutritious and tasty. 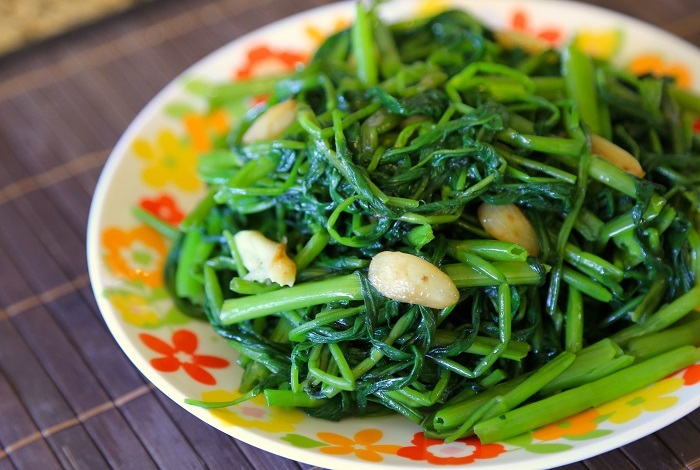 This river weed is stir fried with garlic slivers and a mild dash of spices. If you want to experience a melange of various cultures in a spoonful of Vietnamese cuisine, Cao Lau is your best bet. The noodles used in this dish are like the Udon from Japan. The pork and wontons are Chinese, the soup is typically Saigon, and the end result is absolutely delicious. 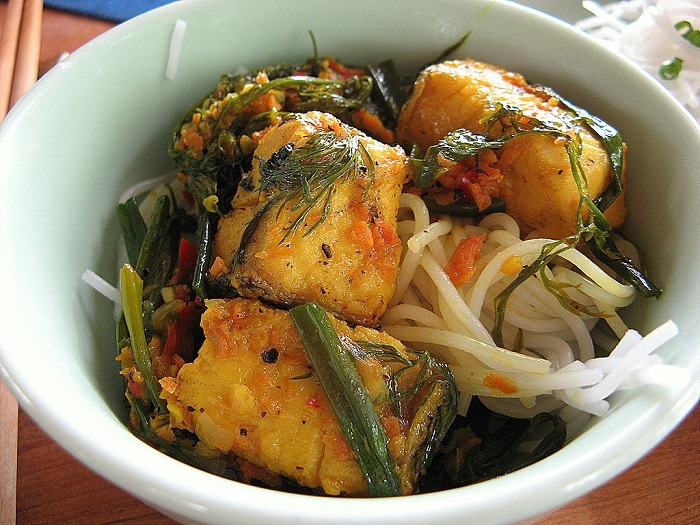 Cha Ca is a dish that uses pieces of fried fish that have been spiced with a dash of ginger, garlic and dill. 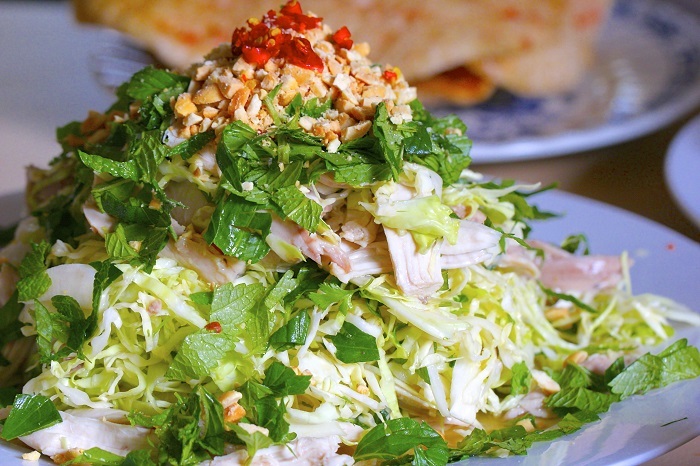 This delicacy is so popular that Vietnam has a street named after the dish. 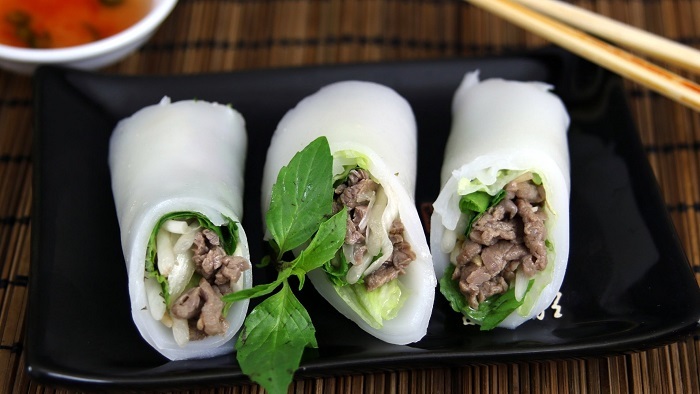 Pho Cuon is a Hanoi staple with fresh, transparent spring rolls that are stuffed with lettuce-wrapped cucumber, fried beef and herbs. Taste one the next time you’re there, and you will undoubtedly come back for more. The Bánh Xèo resembles a crossover between a pancake and a crepe, except for the fact that it’s crispier than usual. The batter comprises of coconut milk, rice flour and turmeric, and is stuffed with prawns, bean sprouts and pork. This unconventional salad avoids the use of lettuce, and instead uses mango or raw papaya as its base. Once in a while you might also find lotus roots or cabbage being used. The rest can be anything in the world, from pickled veggies to peanuts to tiny pieces of meat, and a choice of sauce.